Future requirements for computing speed, system reliability, and cost-effectiveness entail the development of alternative computers to replace the traditional von Neumann organization. As computing networks come into being, one of the latest dreams is now possible - distributed computing. Distributed computing brings transparent access to as much computer power and data as the user needs for accomplishing any given task - simultaneously achieving high performance and reliability. The subject of distributed computing is diverse, and many researchers are investigating various issues concerning the structure of hardware and the design of distributed software. Distributed System Design defines a distributed system as one that looks to its users like an ordinary system, but runs on a set of autonomous processing elements (PEs) where each PE has a separate physical memory space and the message transmission delay is not negligible. With close cooperation among these PEs, the system supports an arbitrary number of processes and dynamic extensions. 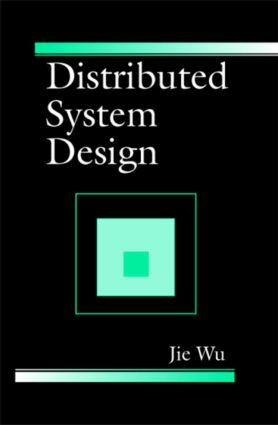 Presenting basic concepts, problems, and possible solutions, this reference serves graduate students in distributed system design as well as computer professionals analyzing and designing distributed/open/parallel systems.